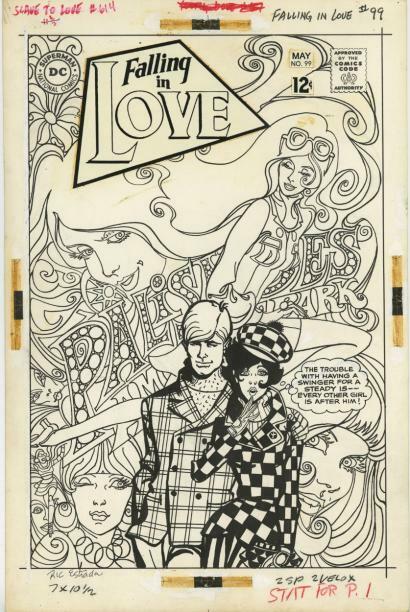 Some of my greatest adventures as a child came from all the wonderful sixties comics I loved to read, collect, and trade with my friends, anxiously waiting every month for each issue to hit the newsstands down the street. 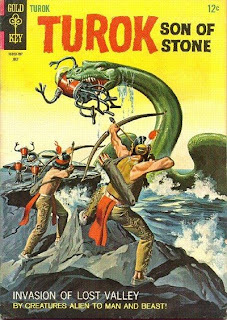 But way back in December 1954, I was still just a twinkle in my mother's eye, not even being born till issue #34 of one of my all-time favorite titles, Turok, Son of Stone. 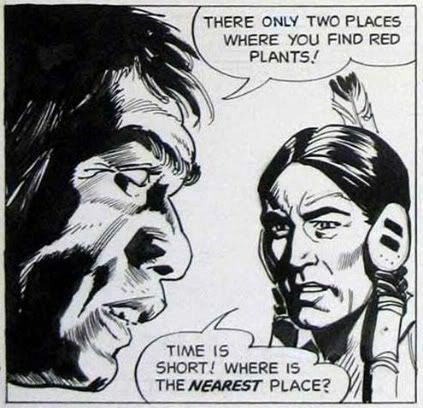 Dell's Four Color #596 started an adventure that would outlive five comic companies, spawn video games and other various incarnations of this noble pair of Native Americans, Turok and Andar in their quest to escape the prehistoric Lost Valley. For such a simple premise, the series has endured better than most, two brothers trying to return home being trapped in a dangerous world occupied by vicious dinosaurs, savage cavemen, natural disasters, and a weird alien or two. 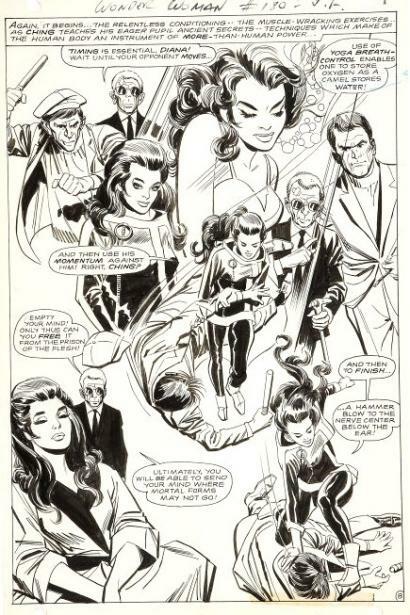 The first issues were illustrated in a rough style by Tarzan strip illustrator Rex Mason, and written by long-time creator Gaylord DeBois. The author was writing back-up stories in The Lone Ranger about another Native American called "Young Hawk" when he was influenced by his many trips to New Mexico's Carlsbad Caverns. The writer's vacations helped inspire his new "Lost Valley" storyline about two pre-Colombian youths than got lost in Carlsbad's deep caverns and discover early forms of prehistoric life, and even some mysterious "slim-legged creatures" (horses had not yet been introduced to America by the Spanish). 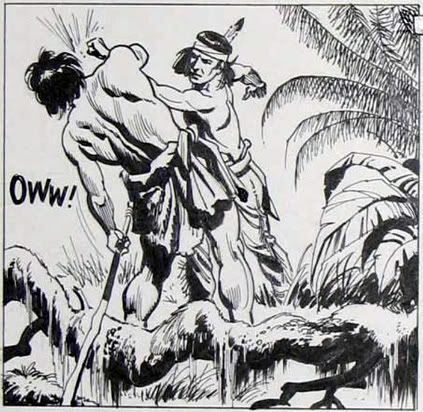 Over the first ten issues, the braves fight numerous savages and "honkers" and Turok even finds a way out over the sheer cliffs, but returns for a wounded Andar, and during their second attempt an avalanche seals them in the lost world forever. 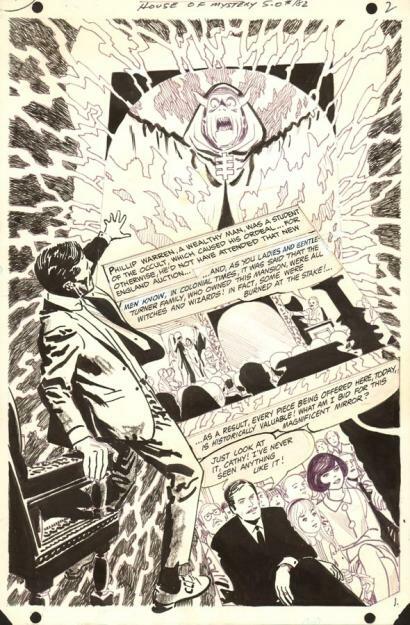 Paul S. Newman took over the writing chores for the remaining 120 issues when it was under the Dell, Gold Key, and Whitman labels, but with issue #24, the real draw of the series was the spectacular art from the talented Italian artist, Alberto Giolitti. From his lush detailed jungle scenes, to the snowy peaks, bubbling tar pits, or isolated deserts, the two adventurers tried desperately to escape this deadly world, surviving only with their archery skills, some poison arrows, the knowledge of fire, and their quick wits. 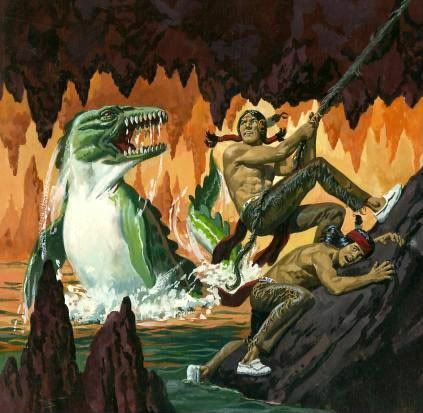 As a kid, I always was thrilled to see Andar or Turok discover a familiar fish or jackrabbit from their world, as they endlessly searched to the origin of where it came from, only to find a small crevasse that could not provide their escape. 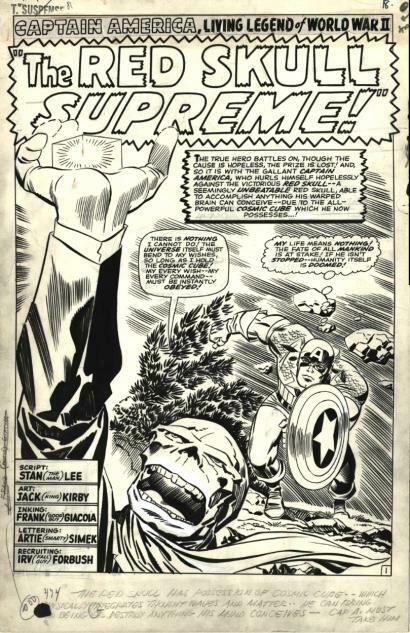 Or my favorite issue #58 pictured above, when they rescued a UFO alien from attacking cavemen, and as their reward they are flown over the cliffs to their tribal village, only to suffer engine failure and crash back in Lost Valley due to a caveman's prior assault on the ship. 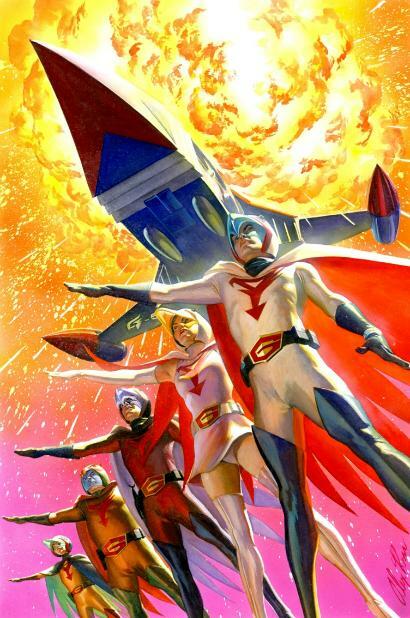 All their dynamic efforts to discover a way out of Lost Valley over their thirty years in print fail, but they still never lose hope and continue on from one issue to the next. 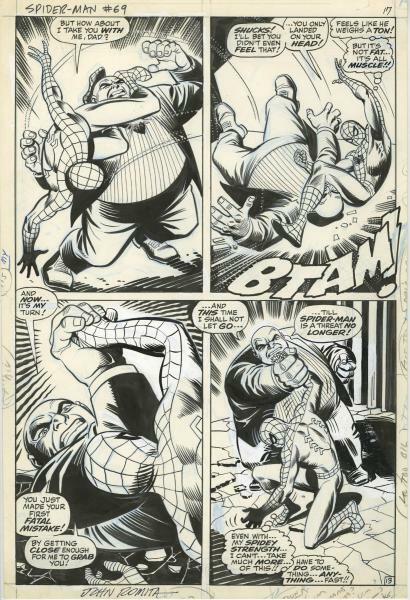 Alberto Giolitti was born in Rome on November 14, 1923 ,and worked in his family's popular cafe before his first comic strip was published at the young age of 20. 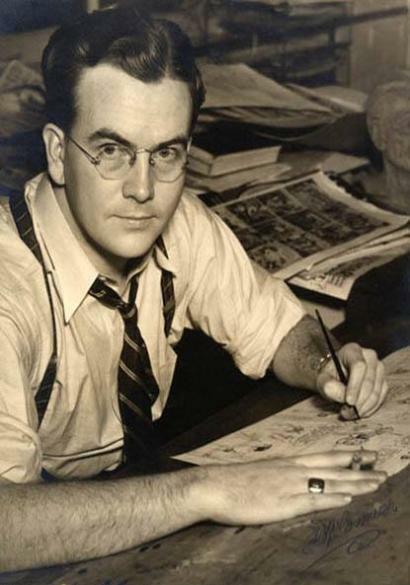 Three years later, his artistic talents took him to Buenos Aires, Argentina working for the prestigious Lainez and Columbia publishing house doing crime and history stories, before his jump to the United States and Dell/Western Comics in 1949. Here he further developed his skills on assorted TV titles including Zorro, Indian Chief, Twilight Zone, Voyage to the Bottom of the Sea, Boris Karloff, Cisco Kid, Gulliver's Travels, Gunsmoke, Tarzan, Sergeant Preston, Star Trek, The Lone Ranger, and many others. But his longest collaboration was with Turok, Son of Stone, which he is best known for in the business today, even modeling the character of Ander after one of his sons. 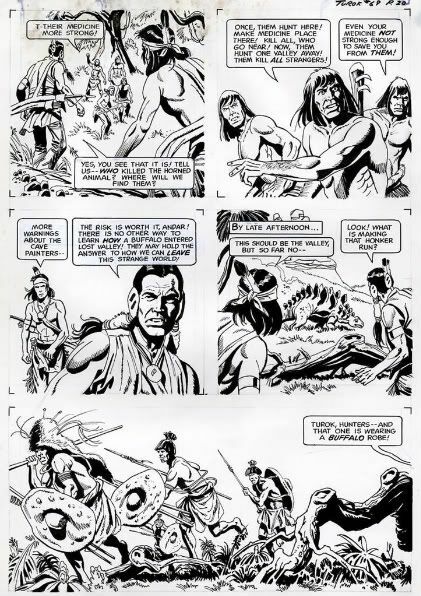 At the height of the series, selling millions of copies, Giolitti even pitched a Turok, newspaper strip, which unfortunately never caught on with the syndicates and only a handful of dailies still survive. 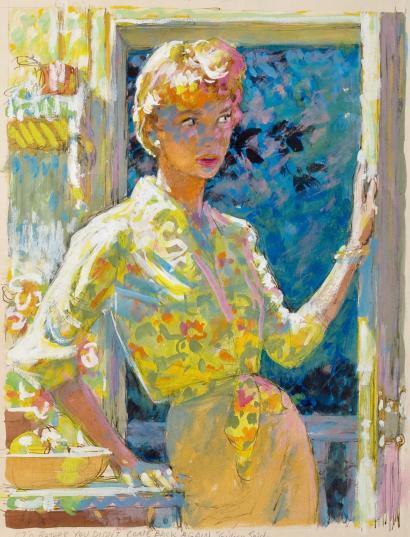 After becoming an American citizen in 1960, Alberto longed for his native Italy and returned to open his famous Giolitti Studios, with a stable of fifty artist they drew in a similar "house style" under the creator's supervision. 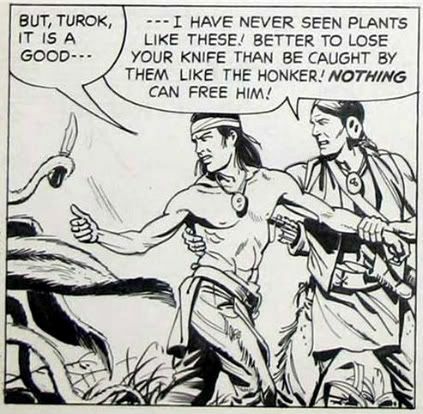 Here he continued drawing Turok, for Western Publishing as well as produced other works for British and US publishers. 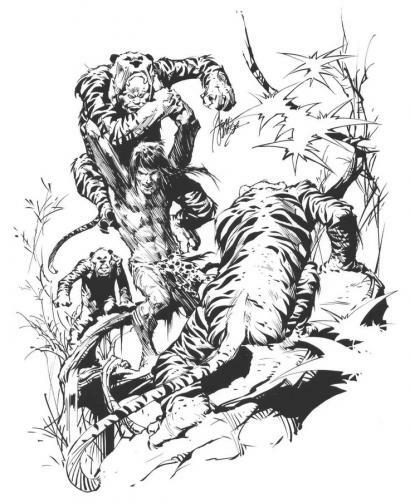 His studio finished out the Turok, Son of Stone series with just a few issues that were rendered by Jack Sparling at the conclusion of the title with Gold Key/Whitman. But, not to forget another selling point for this favorite title were those fantastic painted covers by George Wilson that help market these wonderful fantasy tales from a simpler time in comic history now seemly as lost as our two adventurers forever.